The recently-retired editor of the Press Association is to take up a new academic role. Jonathan Grun, who served as PA’s editor for 20 years, will serve as professional chair in journalism at the University of Sheffield from this month. The newly-created role will see Jonathan tasked with establishing and leading a new advisory board for the university’s Department of Journalism Studies. He will also serve as an ambassador the department to create new opportunities for students working towards degrees in journalism at Sheffield. Said Jonathan: “It is a tremendous honour to be appointed to this role. I have admired the work of the Department of Journalism Studies for many years. “Quite simply, Sheffield University trains some brilliant journalists and does important research work. “Our society needs robust, ethical journalism and Sheffield University plays an important part in making that happen. Jonathan will also contribute to the department’s guest lecture programme and explore potential new partnerships in the media industry and the research community. Marie Kinsey, joint head of the department, said: “We’re delighted to have such a well respected journalist as Jonathan playing a key role in the department. Jonathan retains a role with the PA overseeing journalistic standards and diversity, and is secretary to the Editors’ Code Committee of the Independent Press Standards Organisation. He also serves as vice-chair of the Defence and Security Media Advisory committee. 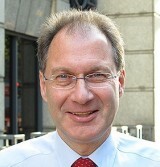 Jonathan has twice been elected President of the Society of Editors and is a Freeman of the City of London.